I love to read, but sometimes, and especially with guitars, I just love to drool over pictures, and that’s exactly what the “Beauty of the Burst” is – at least half of it. 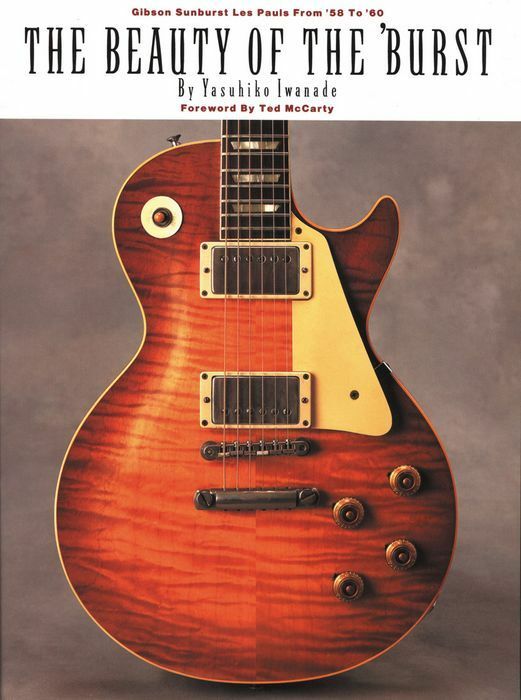 The first half of the book has a forward by Ted McCarty (former president of Gibson), then jumps into pictures of Les Paul Standards from ’58 to ’60. It then briefly shows famous Les Paul guitar players, then closes out with very important information regarding the physical features of the guitar from the striping pattern of the flame down to the hardware. There is a chapter dedicated to the PAF, which goes into a deep dive of the pickup. I found this chapter to be incredibly useful. In case you didn’t know, the PAF pickup is as the author of the book says, “the heart of the Les Paul.” It is an incredibly expressive pickup – not very high in gain – and it was responsible for giving the Les Paul its distinctive, singing sound. There was lots of magic in this pickup developed by Seth Lover back in the day, and it’s not a surprise why there are so many boutique pickup manufacturers that have been trying to capture that magic. Drool is exactly what I do, looking at the pics of the original sunburst Les Pauls in this book. The technical explanation of the Les Paul’s tone is great reading also.